Welcome to Part 2 of my Back To Basics series. It is a pleasure to have you all join me over the next few weeks exploring the 6 different shapes included in the popular 18 piece cutter set currently available from Kmart Australia. 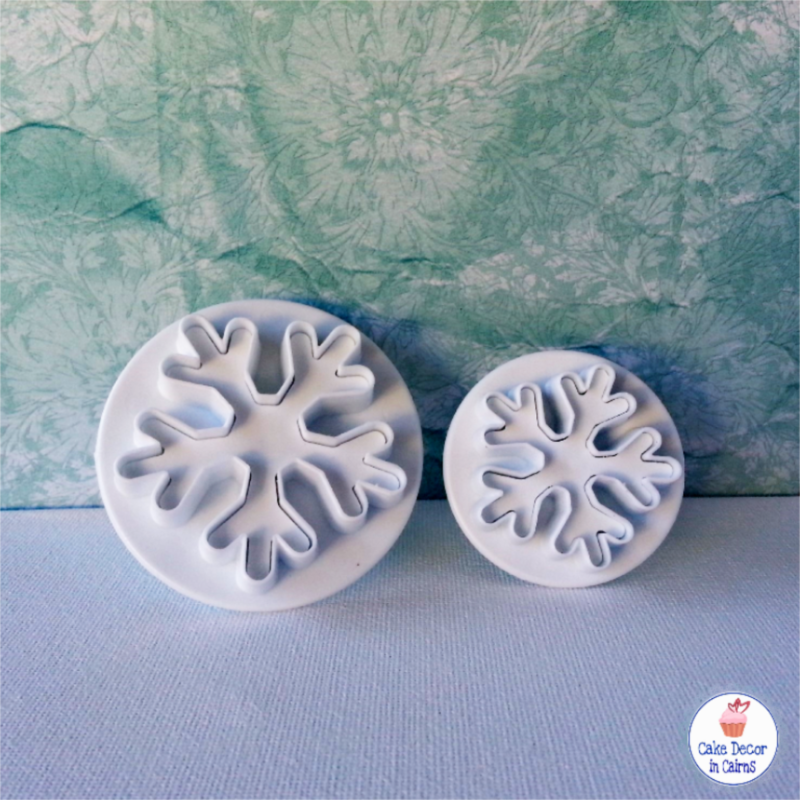 (If you don't have the set don't worry you can buy them individually elsewhere) Be inspired to get your cutters out and make some gorgeous sugar decorations that you can store and use up to 6 months later. So come on let's get started. 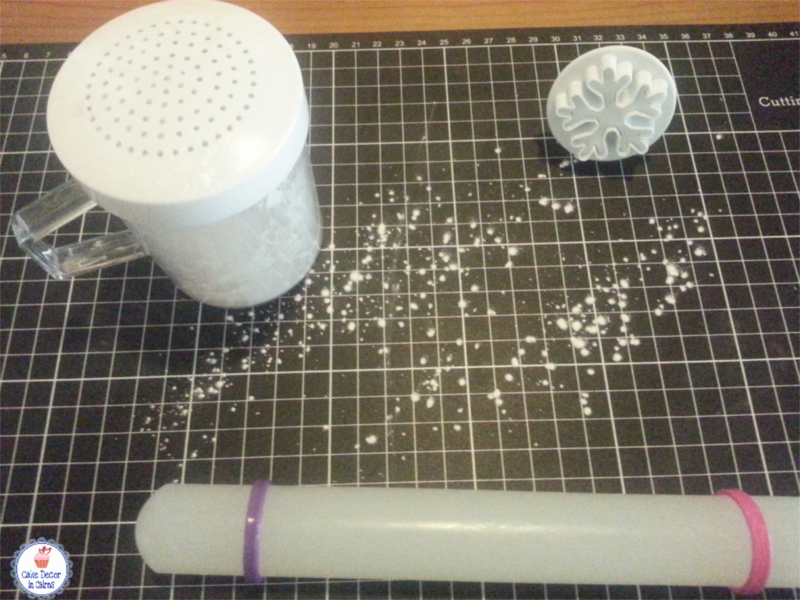 Ensure you have read Part 1 Using Butterfly Cutters as I will not be repeating the basic step of using a plunger today. 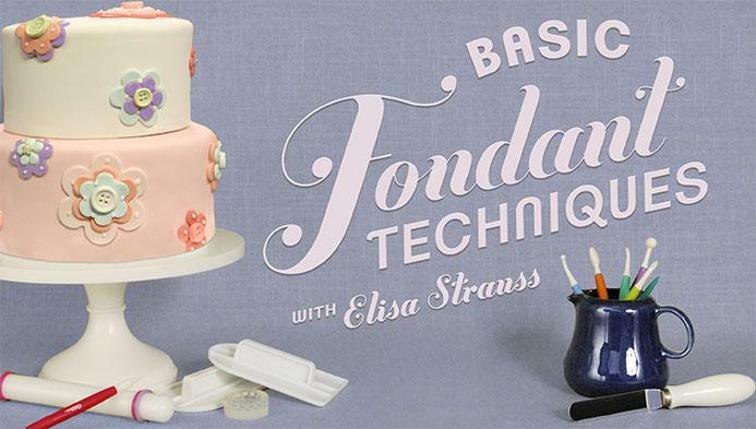 Get yourself set up with your cutters, a mat, rolling pin, corn flour, CMC/Tylose treated fondant in your colour choice, and let's have some sugar play! 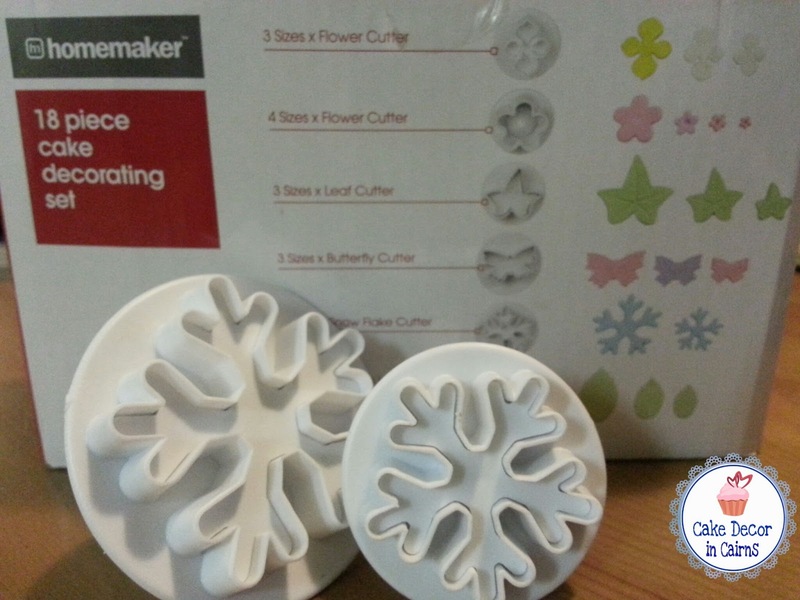 The second set from this fabulous box is the Snowfake Cutters in two different sizes. Now I'll remind you again, if you don't have this set at your Kmart there are many other places you can buy them from. Off the top of my head, I can think of ebay, Robins Kitchen and countless numbers of other cake decorating suppliers. And I actually bought a set myself to specifically present this series to you. Kmart have no affiliation with me. Jumping straight in as I know you're ready to roll your fondant out right? So just a little tip I forgot to mention last week, when I sprinkle cornflour (Must be corn / maize not wheaten) I rub it into my mat so I am not spreading too much onto the fondant and staining the colours with white powder. Now just to throw you off a bit - I am using brown coloured fondant first today!! What has that got to do with Snowflakes you ask? Well, you just have to keep reading to discover what I am up to! 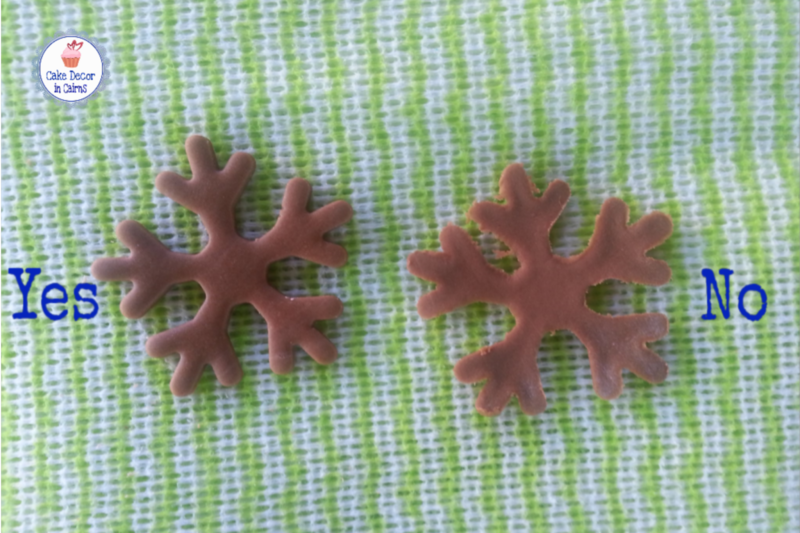 If you find that your fondant is really soft, you might have some troubles getting your snowflakes out, they can stick to the cutter and warp out of shape!! OMGOSH! Yes it's frustrating isn't it?! But don't worry it's an easy fix! In my case today, I am leaving this piece of fondant out for 2-5 mins. Yes that's right, it's rolled out and uncovered! Now, go ahead and cut out your snowflakes, try to get a clean cut - that is no furry bits on the edges like in the YES picture below. There's a couple of ways to handle this furry occurance; scrubbing the cutter on the mat, however sometimes that doesn't really work or better lifting it up and using your fingers to smooth the fondant cleanly into the cutter. Remove the excess and push gently in a swiping motion across the cutter. Your fondant should slightly sink in as in the 3rd photo. 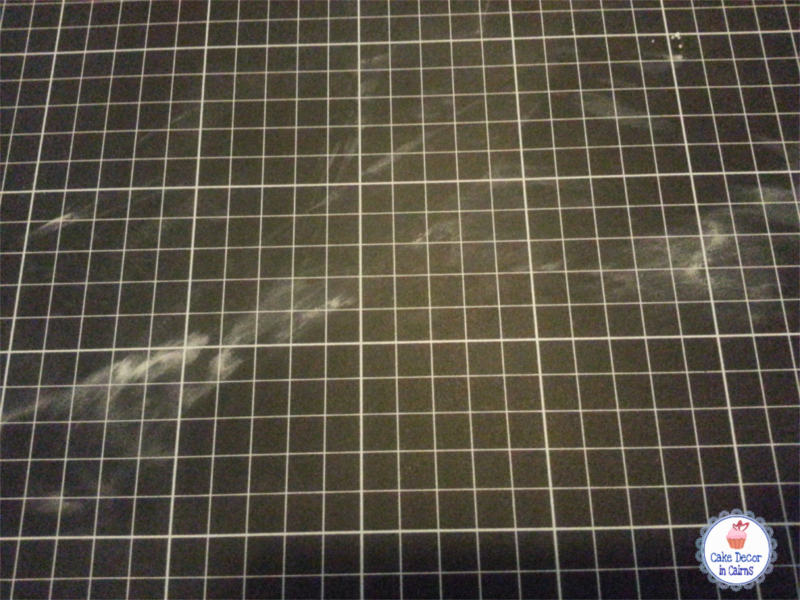 Okay now, pull out one of those Chux cloths and spread it on a baking tray (trimmed to fit and ironed flat on low if it's creased) This is my method to dry my fondant and gumpaste toppers. I simply do not have the space to use foam pieces and Chux cloths are cheap and easy and work much better than paper towel. 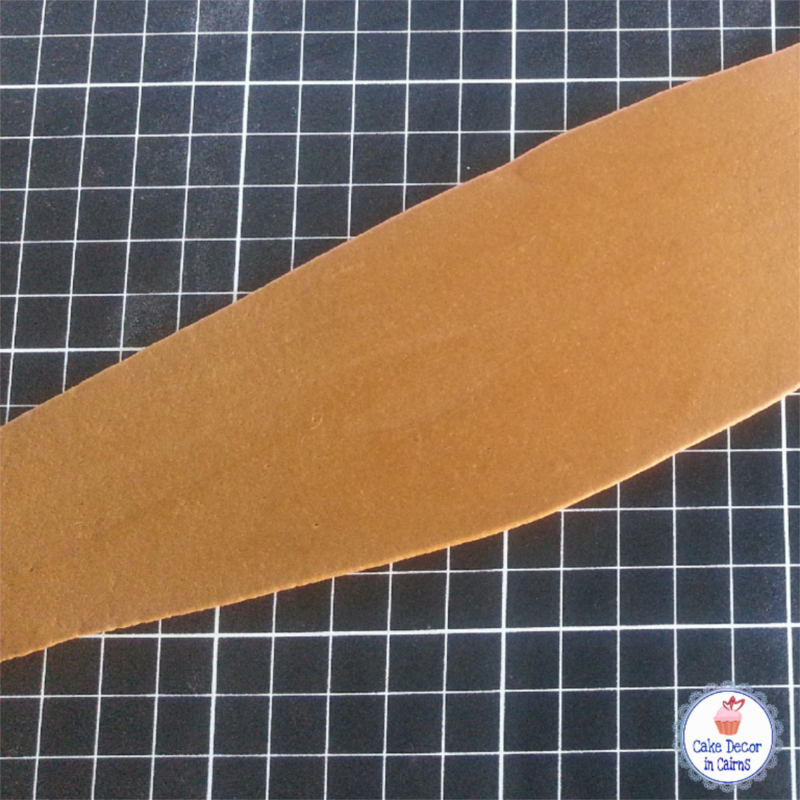 The cloth allows for airflow under the fondant, helping it to dry quicker. 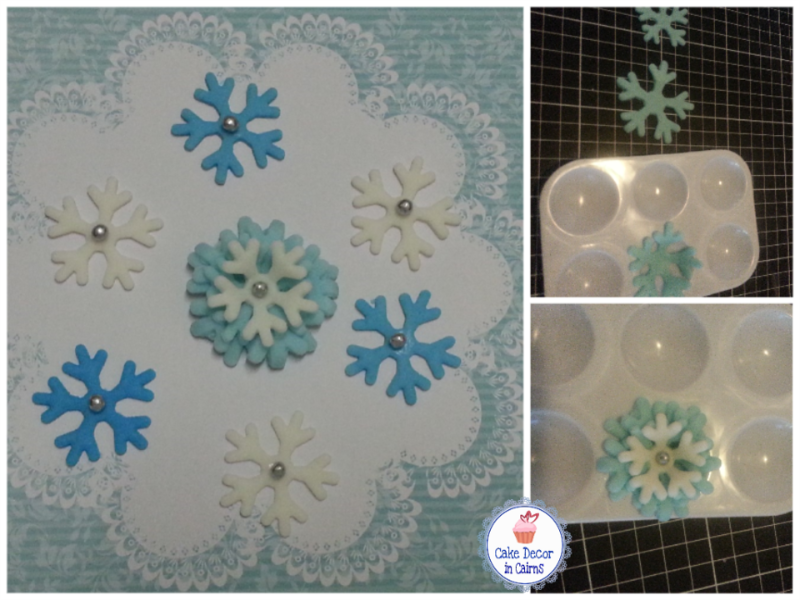 Eject your snow flake onto the lined tray so it can dry without breaking. Okay so by now you're wondering "Hmmm alright thanks for those awesome tips but what are you doing with the brown fondant?" Aha! That's a very good question! Don't allow the brown ones to dry longer than say 5-8 minutes, just enough to surface dry. (in Wet humid season pop under your fan) Bring them back to the cutting mat and let's get creative! Look here! Using a sharp knife /scalpel I have made Bird Footprints / Owl Feet and Reindeer Antlers! 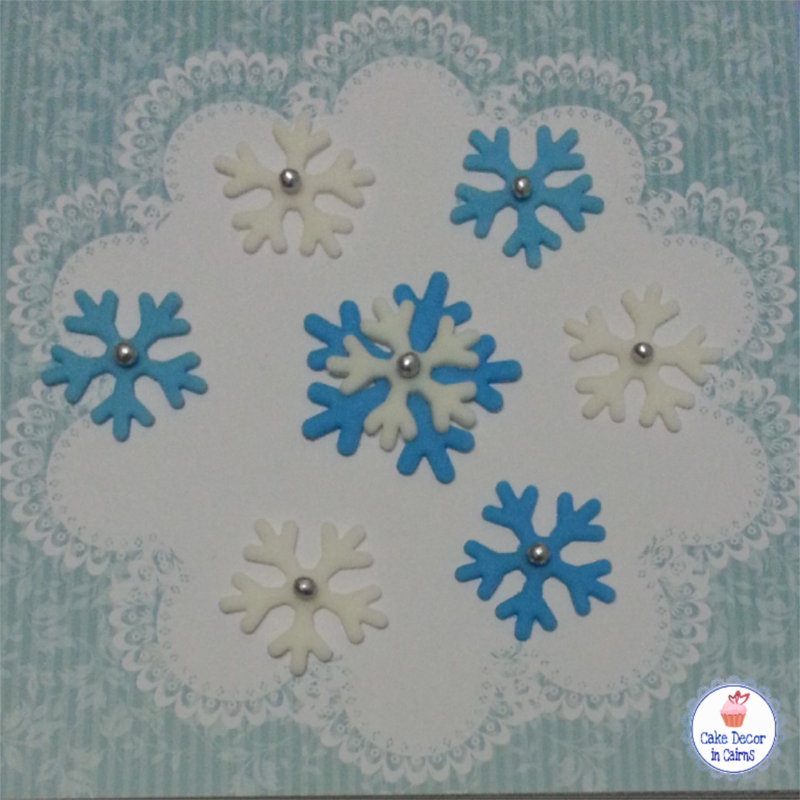 Alrighty then, now let's focus on the more traditional Snowflake colours of white and of course the now super popular blue, a trending theme thanks to the Disney Movie Frozen. By themselves, they are pretty good, once dry whack them on top of a cupcake piped with blue Butter Cream or stick them all over your cake! Looks great! 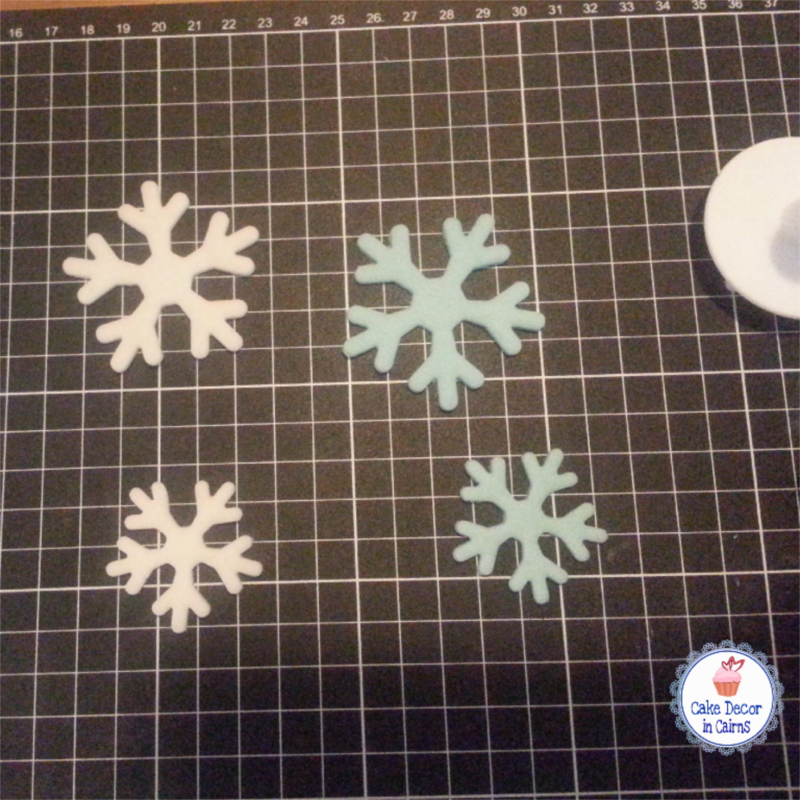 If you want to be more adventurous, get two snowflakes in different sizes and colour, Stick the smallest one on top of the largest one with a tiny dab of glue. How about some eye catching bling? I grabbed these silver balls from my local supermarket, most stores will carry a brand of silver edible balls that you can glue on to the centre of each snowflake. Yep! Much More Eye Catching! Look how pretty would these look on top of a cake! 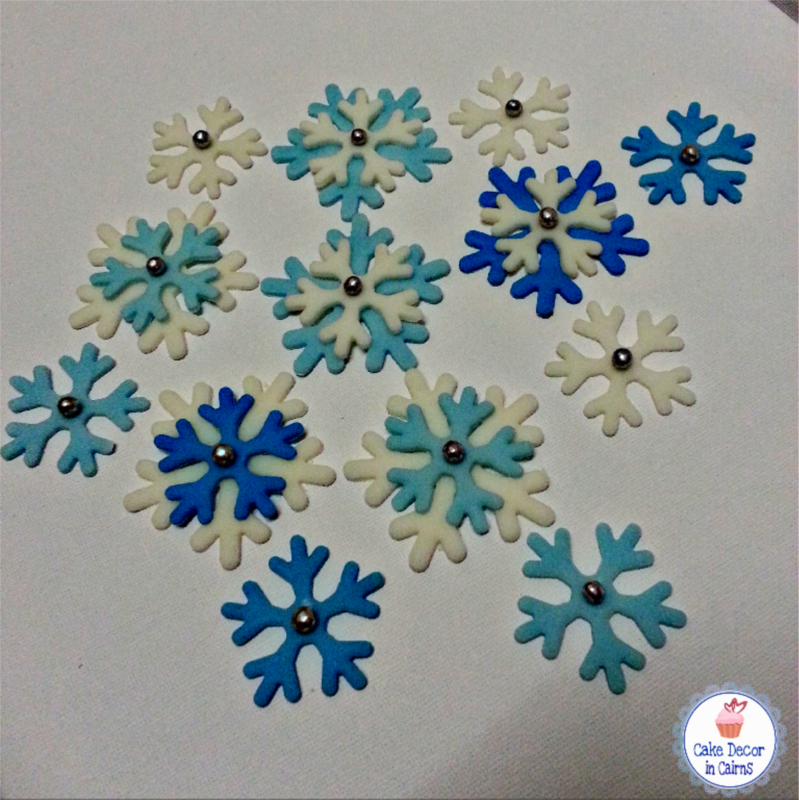 For something different try layering them in a former of your choice (I use paint palettes) Once dry they will make interesting Snowflake type flowers to adorn your Winter, Christmas or Frozen themed goodies. 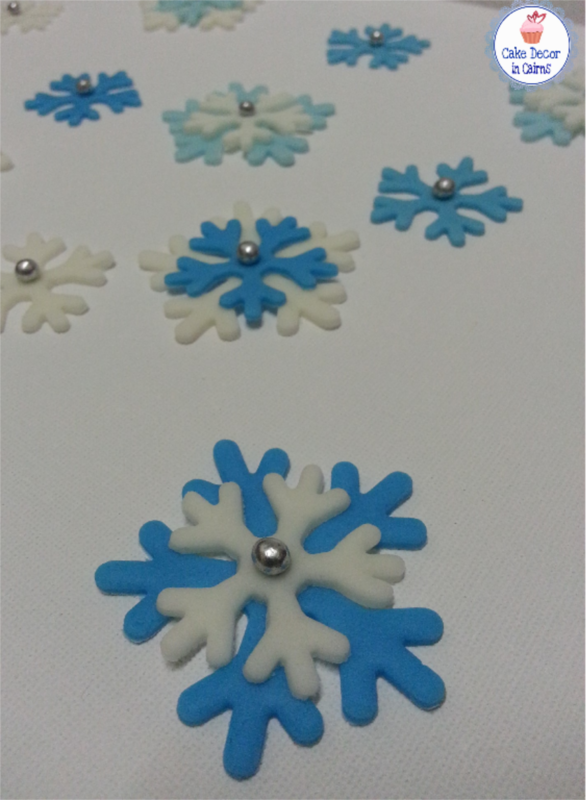 Pretty Blue and White Snowflakes! That concludes Part 2 of My Back to Basics Series!